Otto Julius Jacoby was born on 2 August 1884 in English Center, Lycoming County, Pennsylvania. He was raised by Mary Reinwald. Frederick Reinwald and Mary A. Kempf appeared in the US federal census of 1 June 1900 in Pine Township, Lycoming County, Pennsylvania. Other members of the household included Otto Julius Jacoby. The following appeared on 14 February 1902 in The Wellsboro Gazette: Frederick Reinwald was born near Liberty, October 21, 1846. On March 6, 1882, he was united in marriage with Mary Kempf, of Oregon Hill. After the fourth attack of pneumonia he passed away Feburary 1, 1902. The funeral was held from the United Evangelical church at Oregon Hill, February 4, Rev. W. C. Bierly, of Liberty, officiating. Mr. Reinwald has been a successful, industrious farmer, assisting neighbor, and a kind, affectionate husband, Besides a wife, and foster son he is survived by a sister and four brothers. Otto Julius Jacoby and Mary A. Kempf appeared in the US federal census of 15 April 1910 in Niagara Falls, Niagara County, New York, at 3425 Royal Avenue boarding in the household of Alvin and Anna Dahlgren. He was an insurance agent, according to the 1910 census. Otto Julius Jacoby and Mary A. Kempf appeared in the New York state census of 1 June 1915 in Niagara Falls, New York, at 3425 Royal Avenue boarding in the household of Adam and Victoria "Yngue." He was an insurance agent, according to the 1915 census. Otto Julius Jacoby registered for the draft on 12 September 1918 in Niagara County, New York, while living with Mary Reinwald at 3425 Royal Avenue in Niagara Falls, and employed there as a life insurance agenty by Provident Life & Trust, 426 Gluck Building. Otto Julius Jacoby and Mary A. Kempf appeared in the US federal census of 1 January 1920 in Niagara Falls, Niagara County, New York, at 1620 Ontario Avenue. He was an insurance agent, according to the 1920 census. 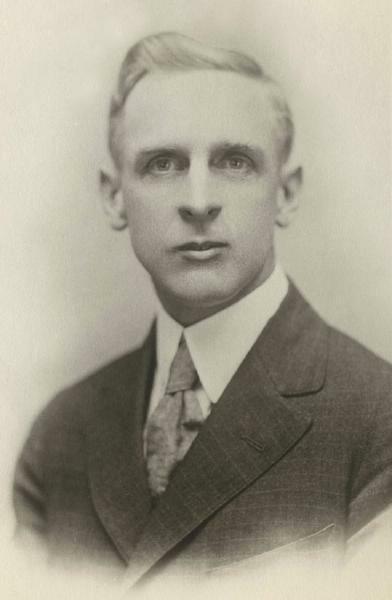 He married Marie Katherine Kammerer, daughter of Adam Kammerer and Ursula Weiler, on 1 June 1920 in Niagara Falls, Niagara County, New York, by license issued 27 May, with Rev. Herman Brezing officiating.. It was the first marriage for both, residents of Niagara Falls. Witnesses were the bride's sister Helen Shipston, and Fred David Kuppers.. The following appeared on 4 June 1920 in The Niagara Falls Gazette: On Tuesday afternoon, June 1st, at 5:30 o'clock at the home of the bride's mother in Ontario avenue, was solemnized the marriage of Marie Katherine Kammerer, daughter of Mrs. Adam Kammerer, and Otto J. Jacoby of this city, the Rev. Herman Brezing of the Zion Lutheran church officiating. The bride was attired in a dress of blue figured georgette over satin and carried white roses. The matron of honor, Mrs. George Shipston, sister of the bride, wore her wedding dress of flowered georgette and crepe meteor and carried pink roses. F. D. Kuppers acted as best man. A program of appropriate music was played by Carl Kammerer, brother of the bride. The ceremony took place in the living room, which was beautifully decorated with palms, ferns and flowers, including white lilacs, peonies and iris. A supper was served after the ceremony, with covers for 27, the table being decorated with pink roses. Mr. and Mrs. Jacoby have left for a trip to New York and other cities, after which they will be at home at No. 1620 Ontario avenue. Otto Julius Jacoby and Marie Katherine Kammerer appeared in the New York state census of 1 June 1925 in Niagara Falls, New York, at 1620 Ontario Avenue. Other members of the household included John Otto Jacoby, Frederick Harvey Jacoby, Elizabeth Marie Jacoby and Mary A. Kempf. He was an insurance agent, according to the 1925 census. The following appeared on 11 August 1927 in The Niagara Falls Gazette: Mortgages. August 9th. Otto J. Jacoby and wife to Myrtle C. Havens $5,500.00. Deeds. Clarence R. Runals, ref to Otto J. Jacoby and wife, Niagara Falls. The following appeared on 18 December 1928 in The Niagara Falls Gazette: [Births] To Mr. and Mrs. Otto Jacoby of 952 Vanderbilt avenue, at the Memorial Hospital, on December 16, a son. The following appeared on 4 November 1929 in The Niagara Falls Gazette: A large number of friends attended the funeral yesterday of Mrs. Matilda Crossett, 79 years old, who died at the home of her daughter, Mrs. Melchior Zeifang, 1608 Eighth street, Thursday. The services were conducted at her daughter's home at 2:30 o'clock yesterday afternoon by the Rev. Herman Brezing. Interment was made in Fairview cemetery, Niagara Falls, Ont. The pallbearers were Otto Mehring, O. J. Jacoby, Alex. Kelberer, Clyde Schwartz, Elmer Schoelles and Harvey Kahle. He was an insurance salesman, according to the 1930 census. Otto Julius Jacoby died on 28 October 1930 at age 46 in North Tonawanda, Niagara County, New York, in Tonawanda Creek. According to newspaper accounts, he took his own life. Marie Katherine Kammerer became a widow at his death. The following appeared on 30 October 1930 in the Niagara Falls Gazette: [Died] Oct. 28th, 1930, Otto J. Jacoby, 46 years, beloved husband of Marie, father of John, Frederick, Elizabeth, Robert and Richard. Services will be held at the family residence, Rev. Herman Brezing officiating. Funeral private. Flowers gratefully declined. A single grave marker identifies the graves of Otto Julius Jacoby and Marie Katherine Kammerer and Margaret Louise Jacoby.